The Lower School (Shells, Year 9) an introductory year. Formal and structured educational support is available at all levels. The well-stocked Library is open seven days and six evenings per week. ICT facilities (including the Internet) are available for all and the whole school (studies within the Houses as well as classrooms) is extensively networked. 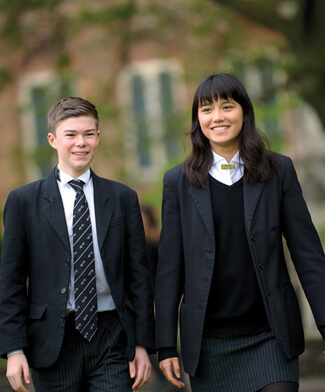 Pupils are offered extensive Careers advice throughout their time at King’s. Almost all go to university, either immediately or following a GAP year. The most popular destinations are Oxbridge, Russell Group universities, and colleges in the USA. The specific aims of the Shell curriculum are to give pupils an academic introduction to a large number of subjects, together with their associate skills, and to help them acquire the personal proficiency needed for a successful career at The King’s School and beyond. This is therefore a preparatory year prior to the public examination years, in which pupils begin to find their own levels of achievement at a higher level than hitherto reached. They also begin to discern their academic preferences; towards the end of the year they are asked to make choices for GCSE. Shell pupils take a large number of individual subjects. We are, however, keen to help them to understand that these subjects do not exist in isolation. The Shells will be introduced to some cross-curricular themes and they are required to undertake a Global Perspectives project. There will be days or longer periods when the majority of the subjects (both curricular and co-curricular) will be working towards a common goal on a single theme. For example, in the Autumn term all Shells will travel to Ypres with introductory and follow-up activities across the curriculum. The post-examination period in the Summer term also provides opportunities for cross-curricular work and here we aim specifically to tie this in with the co-curricular as well. Expeditions and days out are arranged to develop particular themes across more than one subject area. The Shell Guide and Handbook provides full details of the subjects studied within the timetable, but it is important to point out that we regard the co-curricular as an integral and essential part of our educational provision. 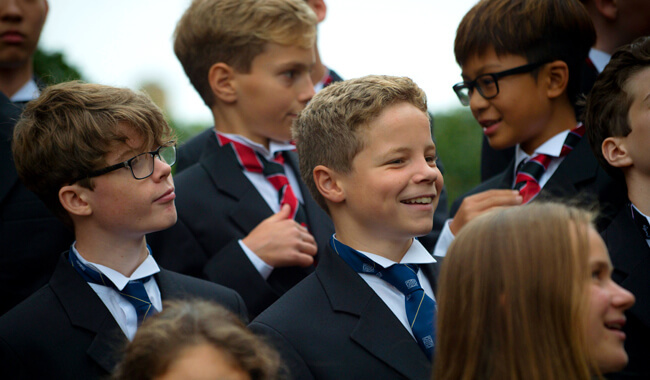 In the Middle School our aim is to present a wide-ranging curriculum that is intellectually stretching, creatively challenging and one that develops individuals personally: it intends to provide them with a good base of knowledge and skills for the Sixth Form and adult life. Pupils in the Removes and the Fifths work towards GCSE courses. Most take between nine and eleven GCSEs. All pupils take the core subjects of English Language and Literature (two GCSEs), Mathematics, and Science (two or three GCSEs), and four optional subjects of which one is expected to be a Modern Foreign Language. We encourage pupils, wherever possible, to choose at least one creative subject (from Art, Design & Technology, Drama and Music) and at least one humanity (from Geography, History and Religious Studies). At the same time, we try to provide flexibility within the programme and wherever possible respond to individual needs. We look to stretch the most able by providing the opportunity for them to take some GCSEs early and to take up some AS subjects in the Fifth Form. Equally, those for whom the standard nine GCSEs provide too great a challenge are allowed to drop one subject to free some time in their curriculum. GCSE examinations are taken at the end of the Fifth Form. 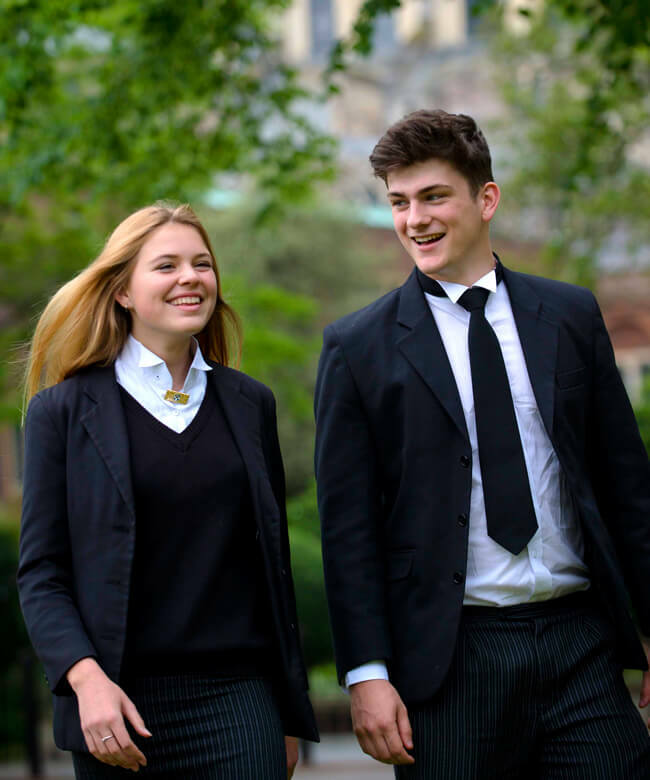 In addition to their GCSE studies, pupils have an enrichment programme of lessons designed both to aid their personal development and to broaden their options for the Sixth Form. Our aim is the provision of a curriculum which will prove efficacious in itself whilst also providing our pupils with the best possible preparation for their future university courses. Pupils should certainly be stretched and working hard, but this is also an essential stage for the development of their individuality and creative talents. The opportunities for music, drama, sport and other activities are essential aspects of the Middle School co-curricular programme. Through enlisting in the CCF or taking part in the Duke of Edinburgh Award Scheme, there are also many opportunities for service, skills, recreation and expeditions. 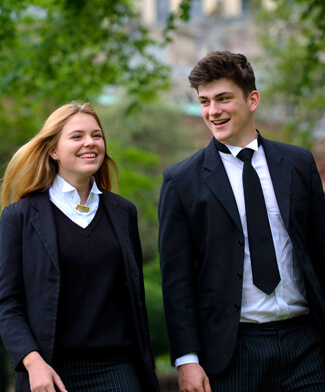 There are two very important features of Sixth Form education at King’s: the opportunity for breadth as well as depth, and a willingness to be as flexible as possible. We recognise that there are many different pathways to the same end: a flourishing student. With these aims, we continue to offer a broad range of subjects to study: 32 A level and Pre-U subjects with further AS and short courses available. Most pupils will study for three A level subjects in 6a but a significant minority study four; 6b students can choose three subjects plus an ‘E block’ EP/AS/GCSE, or four subjects, or four plus an ‘E block’ option. 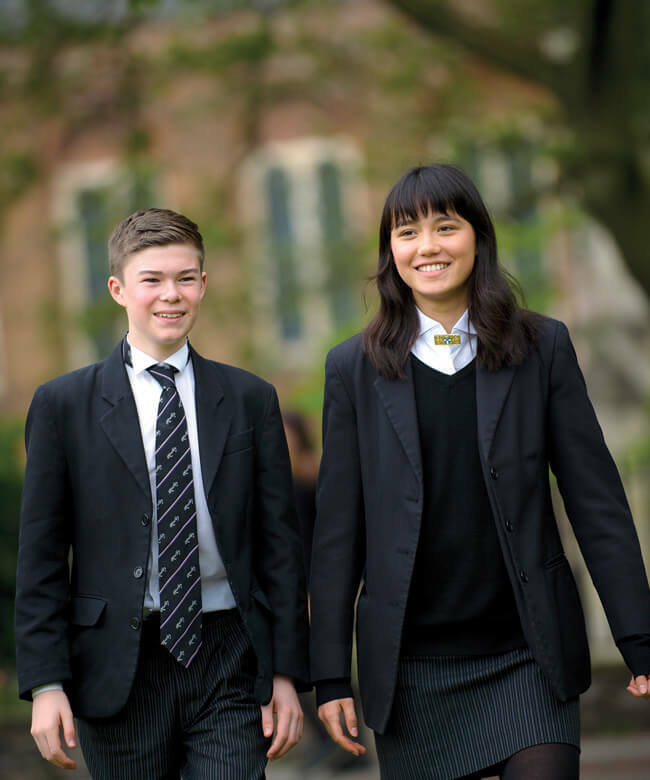 The process of ‘being educated’ at a school like King’s in today’s world offers so many opportunities that our pupils are in a privileged position. Indeed, it is because we expect them to take full advantage of their situation that we make strong demands on them. 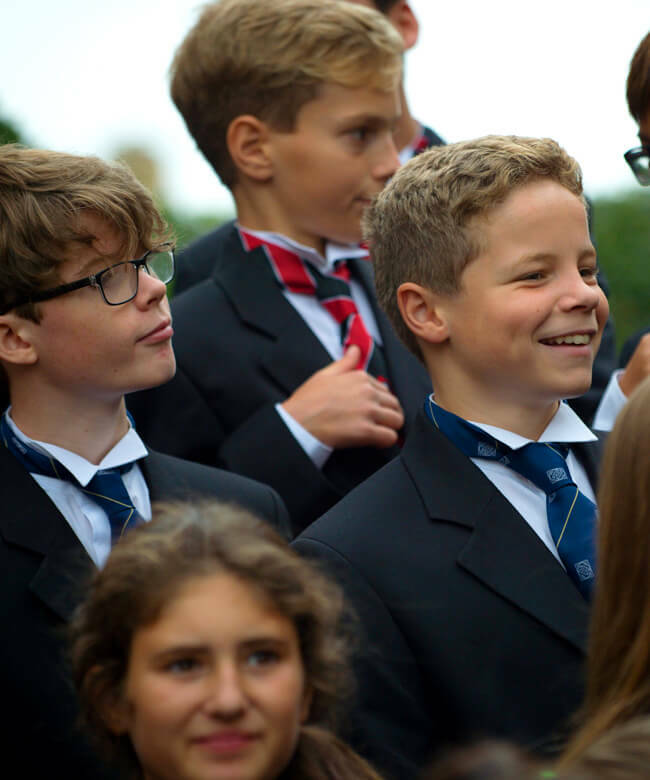 We expect pupils to exhibit a responsible and mature attitude, demonstrating both a love of learning and the character to accept and overcome challenges. Sixth Form life here at King’s is all about making the most of your opportunities: the numerous societies, clubs and activities we have all seek to further and develop interests piqued in the classroom. Furthermore the numerous academic extension classes run by various departments cater for those who wish to broaden their knowledge beyond the confines of A-Level and Pre-U specifications. We believe that those students who most fully involve themselves outside the classroom, also do the best within it; it is always our intention to help both curricular and extra-curricular interests flourish. Careers advice is particularly important at this level. Pupils are given assistance at every stage of the university entrance procedure. On leaving King’s, 98-99% go to university, either immediately or following a GAP year. Around 40% take a GAP year.